Findacourse.ie operates the www.findacourse.ie website, which provides the SERVICE. This page is used to inform website visitors regarding policies with the collection, use, and disclosure of Personal Information if anyone decided to use this Service, the Findacourse.ie website. Most services provided by Findacourse.ie do not require any form of registration, allowing you to visit the site without the need to provide any personal information. Some services may require users to provide personal information/data. 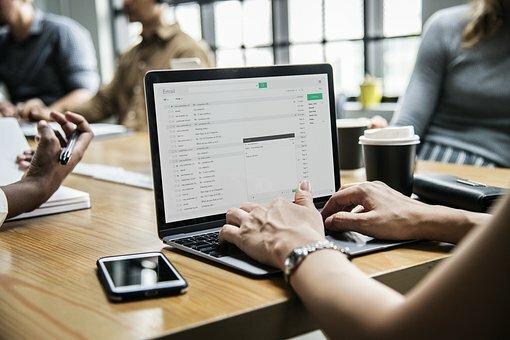 In these situations, your personal information/data may be processed to provide you with products or services you express an interest in, to bill you for products and services you request, to market products and services which may be of interest to you, or to communicate with you for marketing purposes (if user has opted into marketing list). The data controller of this website is the administrator of Findacourse.ie. This administrator is responsible for deciding how and why personal data is held. Website administrator can be contacted at the following email address: admin[@]findacourse.ie (minus the brackets). Privacy and user benefit are of the utmost importance. Your privacy is protected by using modern security technology. This means that it is ensured that appropriate security measures are in place to protect your information. Your privacy is respected. Individual user details are collected only where permission has been given to do this. Personal information collected will be used only for the purposes for which it was originally collected and can be deleted securely if requested. Findacourse.ie does not collect any personal data about you on this website, apart from information which you volunteer (for example by becoming a registered user). Any information which you provide in this way is not made available to any third parties, however, relevant marketing emails may be sent on behalf of third parties but without allowing those third parties to have access to any personal data. You can browse Findacourse.ie without providing any personal information. However, to access the enhanced website and directly contact course providers, you may have to register. For this, your name and email address is required. You can log in to the website and complete your profile if you wish. the type of web browser used by the website visitor. Findacourse.ie will make no attempt to identify individual visitors, or to associate the technical details listed above with any individual. It is the policy of Findacourse.ie never to disclose such technical information in respect of individual website visitors to any third party (apart from an internet service provider, which records such data on behalf of Findacourse.ie and which is bound by confidentiality provisions in this regard), unless obliged to disclose such information by a rule of law. The technical information will be used only by Findacourse.ie, and only for statistical and other administrative purposes. If you login to Findacourse.ie using a Google or Facebook login (or any other social media), you are granting permission to that network to share your user data with Findacourse.ie. This will include your name, email address date of birth and location, which will then be used to form part of your user profile on the service. You can also use your picture from that social network as part of your user profile. This will allow the service and that network to share your network user ID and any other information you choose to share from your social network account. When you post information on a discussion board or comment publicly on an article or page on the service, the information you post and your username are publicly accessible. This information can be viewed online and collected by other people. Findacourse.ie is not responsible for the way these other people use this information. When contributing to a discussion, It is strongly recommended that you avoid sharing any personal details, and especially information that can be used to identify you directly such as your name, age, address and name of employer. Findacourse.ie is not responsible for the privacy of any identifiable information that you post on public pages of the site. To send enquiry responses, promotions, or other correspondence. To pass your contact details onto the course provider so that they can respond to you directly. Your details will not be passed to anyone else without your permission. To contact you in response to any feedback you sent. To send marketing communications where your permission has been granted, or when permitted by law. To personalise website services (for example, so you can sign in), remembering your settings, displaying personalised advertising as well as measuring advert effectiveness, recognising you when you sign in on different devices and tailoring marketing communications based on user preferences. To carry out marketing analysis, for example analysis of usage on the website to better understand user interests and preferences, and to improve marketing by making it more relevant to these interests and preferences. To improve marketing communications, bulletins are analysed to measure the effectiveness of links and usage of links & information of these bulletins by users. To sell advertising space on the website. Findacourse.ie is funded by advertising. For statistical purposes such as analysing the performance of the website and to understand how visitors use them. Consent: For example, where you have provided your consent to receive information about courses from Findacourse.ie or a client of Findacourse.ie. You can withdraw your consent at any time. Member of Findacourse.ie marketing list. In the case of marketing emails, you can ‘Opt-out’ of receiving these by clicking on the “unsubscribe” link at the bottom of the email or through your marketing preferences option, when signed into your account. When you register for an account with Findacourse.ie, you have access to a membership account page. On this page you can review and update your information or provide extra information if you want. You may also update your marketing preferences in the marketing option in your account. This privacy notice does not cover links to course provider or advertiser websites. Please read the privacy statements on the other websites you visit. If you request information from the website you will usually be contacted by the same method you used. If your permission has been given, you may receive materials that match your interestes. Depending on your marketing preferences, this may be by email, phone, or post. If you have raised a query or a complaint with us, you may be contacted to answer your query or to resolve your complaint. Personalised online advertising may be used on the service. This allows the delivery of more relevant advertising to people who visit Findacourse.ie. It works by showing users adverts that are based on previous browsing patterns and the way you have interacted with the website. It then shows you adverts which may interest you. When you browse Findacourse.ie, some of the cookies and similar technology placed on your device are advertising cookies, placed to gather an understanding of what sort of pages you are interested in. Advertising can then be placed on your browser based on these interests. Information such as your name, email address, postal address or phone number is not collected for personalised online advertising. Online data collected through cookies and similar technology may also be shared with advertising partners. This means that when you are on another website, you may be shown advertising based on your browsing patterns on Findacourse.ie. You may also be shown advertising on this website based on your browsing patterns on other sites that that has been obtained from advertising partners. Online retargeting is a form of online advertising that allows Findacourse.ie and it’s advertising partners to show you advertising based on your browsing patterns and interactions with this and other websites. The following is a list of third-party organisations that might be used by Findacourse.ie in the general operation of its business and the processing and storage of data. Findacourse.ie has striven to determine that these companies maintain the highest standards of data storage and security and that they are fully compliant with privacy regulations. 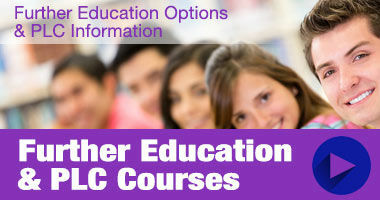 Findacourse.ie operates a number of websites offering information about courses, and education in Ireland. These websites all operate within a group of websites and are all owned and operated by Findacourse.ie. All of these websites use some elements of a common platform and data submitted to any of all of the above websites may be stored on the Findacourse.ie server. To correct any mistakes on your personal information, please contact the administrator at the contact details given above. shown a copy of the information in an intelligible form. To make a request for any personal information held by Findacourse.ie, please write to the Data Protection Officer at the below address. This privacy notice was last updated on 15th May 2018. If there are any material changes to our data processing, you will be let know by updates to this website and/or contacting you by email.